Product #5641 | SKU YPP-117 | 0.0 (no ratings yet) Thanks for your rating! 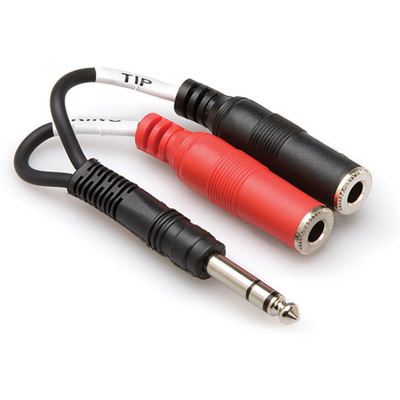 The Hosa YPP117 Stereo 1/4'' Breakout Cable (6''). This cable is designed to split a stereo signal. Black- and red-coded mono phone jacks indicate left and right respectively. It may also be used to adapt a stereo cable with mono phone plugs to a stereo phone jack.